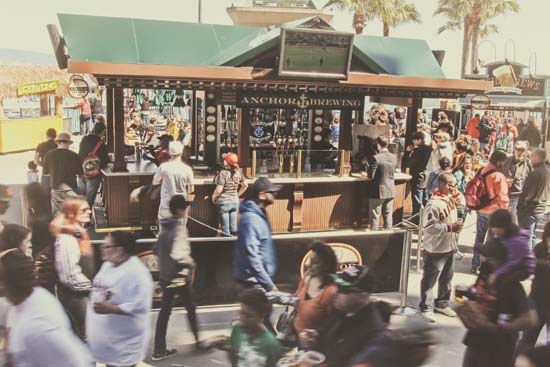 Anchor Marketing Manager Daniel Cruz writes about the connection between hand-crafted beer and America’s pastime in the City by the Bay and beyond. A few weeks ago I had a good day at work. A fellow marketing manager asked if I would be interested in writing a blog post from the marketing perspective, a first at Anchor, about brews and baseball. Let’s just say that it didn’t take me long to respond. It seems there is this natural connection between beer and baseball, something that is both difficult to pinpoint and easy to understand. What is it about a baseball game that invites us to consume beer and hot dogs in greater proportions than if we were in nearly any other setting? What is it about beer and baseball that seem to dominate my Instagram? Have we all been influenced by the hundreds of millions of dollars that beer companies have spent over the decades on baseball, or is there some deeper connection? Some baseball venues are paid handsomely to be named after beer companies, like Miller Park in Milwaukee. 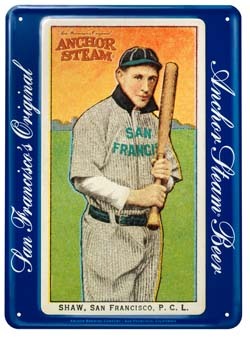 Others are known for one type of beer that has a strong connection to the team with National Bohemian® in Baltimore, or Old Style® at Wrigley in Chicago coming to mind. While certainly influential, I don’t believe that all the ad and sponsorship dollars tell the whole story. There is something more meaningful there, a reason why every time I visit a baseball stadium I seek out a quality beer to enjoy along with the atmosphere of the ball park. To snap that photo that ties it all together. To tell the world about my quintessential American experience. “Traditional” and “authentic” are two words we use quite a bit to describe both our Anchor brewery and our lineup of beers, especially Anchor Steam® Beer. Perhaps no other sport in the world is as rooted in tradition as baseball. Sure, the game evolves over time but big changes in policy or the way the game is played almost never happen. Even something as relatively simple as video replay is mulled over by the commissioner and owners every year with slight modifications or updates, while fully embracing the technology to eliminate the human element of the game is never even considered. MLB and the 30 clubs that make up the league instead chose to modernize in other ways, especially when it comes to enhancing the fan experience by embracing technologies and tools that revolutionize how fans interact and engage with the teams and players that they love. MLB is so advanced in this field, they actually own a completely separate company called Baseball Advanced Media, or BAM for short, which creates and manages not only all of baseball’s digital properties but also the digital properties of many others including the NHL. At Anchor, we are similarly anchored (hah!) in a deep respect for tradition instilled in us by former owner Fritz Maytag. Sure, we have modernized the brewery and evolved our brewing process slowly over time to ensure we’re putting the best possible quality product into the market, but large leaps in process evolution simply are not our style no matter what the cost savings are. 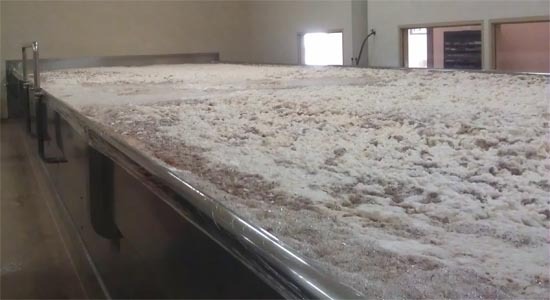 A good example of this is our dedication to using open fermentation with Anchor Steam® Beer. We now use climate control and HEPA air filters to ensure our beer is allowed to ferment properly in our open air vats without fear of the contamination which had probably spoiled many a batch long ago. Also like baseball, we have chosen to modernize from a marketing perspective, embracing tools and technologies that give our consumers incredible access to our brewery, process, history, and people. It’s getting easier to put two and two together here. 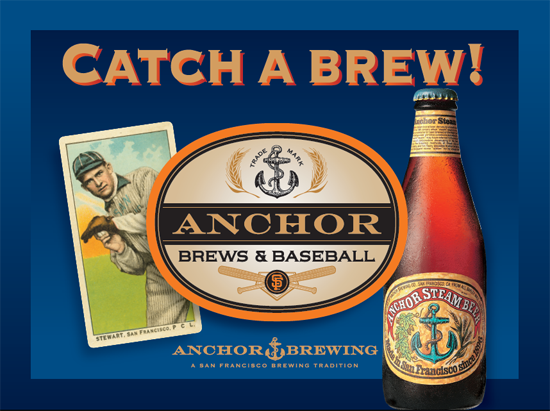 It’s not hard to believe that a brewery so anchored in tradition would be full of baseball fans, particularly San Francisco baseball fans. San Francisco is about as authentic a baseball city as you will find anywhere in the world, with a rich tradition dating back to the 1860s. For a quick look at that history, you should watch our video on the subject. 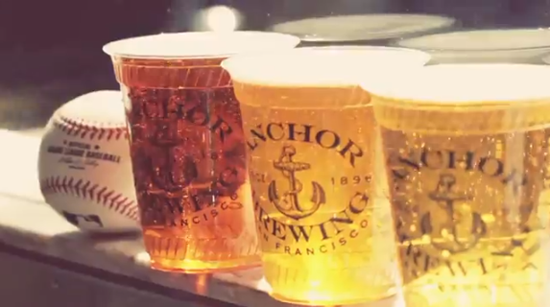 San Francisco is in our DNA and also happens to be where the Anchor Brewery is located. It has always has been located within the city limits, and always will be. Most of the things we do originate from history, whether it was the brewing of Ninkasi in 1989 as part of the Sumerian Beer Project or our latest Zymaster® release, Fort Ross Farmhouse Ale. Likewise, the San Francisco Giants are well-known around MLB as a club that pays deep homage and respect to their 120-year-plus tradition. A quick walk around AT&T Park and McCovey Cove is proof of how the club cherishes that history and displays it through the many statues, plaques, murals and discrete references (i.e. the 24 palm trees) that decorate the neighborhood. 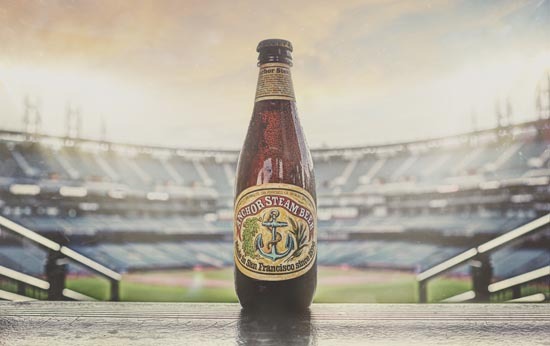 In 2010, as we looked at ways to increase relevancy and engagement in our home market, a few chance meetings with the San Francisco Giants would lead to a partnership between baseball club and craft brewer that was among the first of its kind in the country. 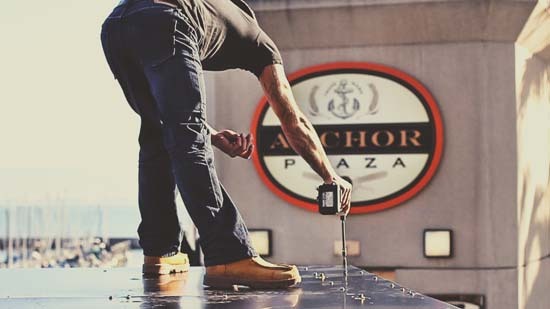 Delivering an authentic Anchor Brews & Baseball experience was at the heart of our talks from day one, and we set out to create just that as we signed a sponsorship agreement that included the creation of Anchor Plaza and the Anchor Taproom on-site at AT&T Park. The design and construction is modeled after the heart of our brewery, our Taproom. A large bar complete with a marble counter and wooden pillars, our Taproom is not just where we host guests during tours or at private events, but also the natural gathering place for Anchor employees enjoying each other’s company or a friendly game of liars dice over a post shift pint. We hoped that by evoking this look and feel at AT&T Park we would create a place where fans could gather to sample a variety of our craft brews, many styles of which are nearly impossible to find at other venues. As the field is not visible from Anchor Plaza, we added television screens to the Anchor Taproom and beer garden style furniture to the plaza so fans could stay in touch with the game while socializing or enjoying the many great food options in the plaza like the famous Crazy Crab Sandwich. It is our hope that by serving our quality brews in such a wonderfully traditional baseball setting that fans will truly experience the meaning of #BrewsandBaseball. Whether you’re at AT&T Park rooting for the Giants, or anywhere else the great game of baseball is being played, I invite you to Raise Your Anchor to 117 years and counting of tradition, authenticity and love for America’s pastime. « Announcing the Anchor Brewing Summer Beertography Challenge What’s in a Name? Great article! Love the Anchor Taproom at the ballpark, one of my favorite spots to hang out when I’m at the games! Brews & Baseball forever!! !